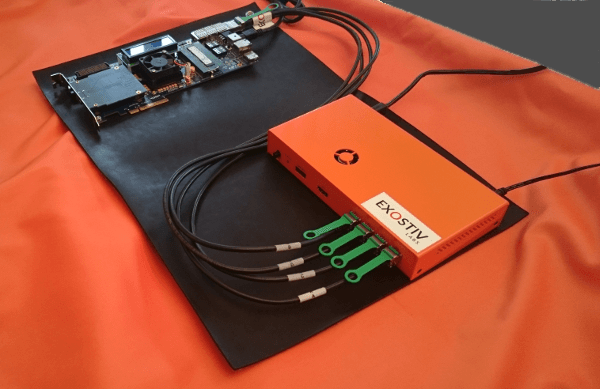 We have exciting news for you: EXOSTIV will soon support Intel FPGA! Please check the pictures above and below – this is EXOSTIV working with the ‘Attila’ dev kit of our partner, Reflex-CES, equipped with one Arria 10 GX 10AX115N4F40I3SG device. We are now able to use EXOSTIV Dashboard Analyzer connected to an IP loaded into the design through the board QSFP port (with a QSPF to 4xSFP cable with splitter). 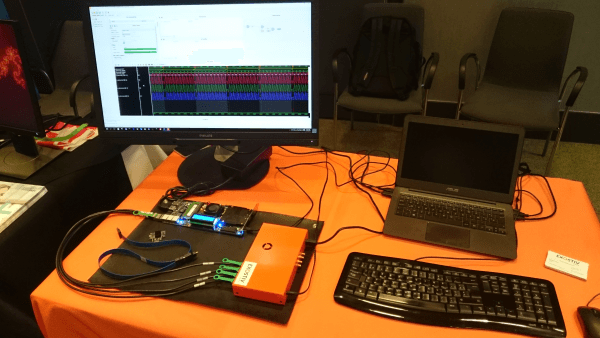 This beta version was shown during the training we co-organized with Telexsus Ltd. in Maidenhead (UK) on October 13rd and at the Europe edition of the Intel SoC FPGA Developer’s Forum (ISDF) held in Frankfurt on October 19th, where Exostiv Labs participated as a Regional Sponsor. The Intel SoC FPGA Developer’s Forum was held in Frankfurt on Oct. 19th. We are happy to announce the availability of EXOSTIV for Intel FPGA (formerly Altera) for the end of 2016. That’s an exciting new step for us and for EXOSTIV ! We would like to thank all our customers using Intel FPGA for their patience. We’ll be in touch!